These are the 10 biggest falls on the planet, based on their width, rather than height or volume. Each one is wonderful in its own way. 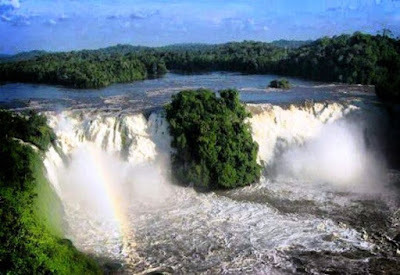 Inga Falls, a 3,000-foot wide waterfall, is located on the Congo River, in the Democratic Republic of the Congo. 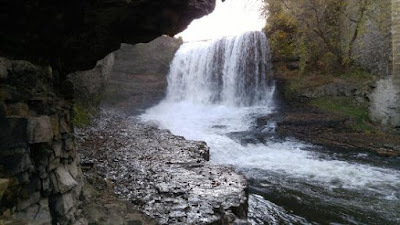 It’s a series of falls and rapids, which drops around 315 feet, but very gradually over a run of roughly 9 miles. However, the main, and most impressive, part of the falls drops around 70 feet in one go. 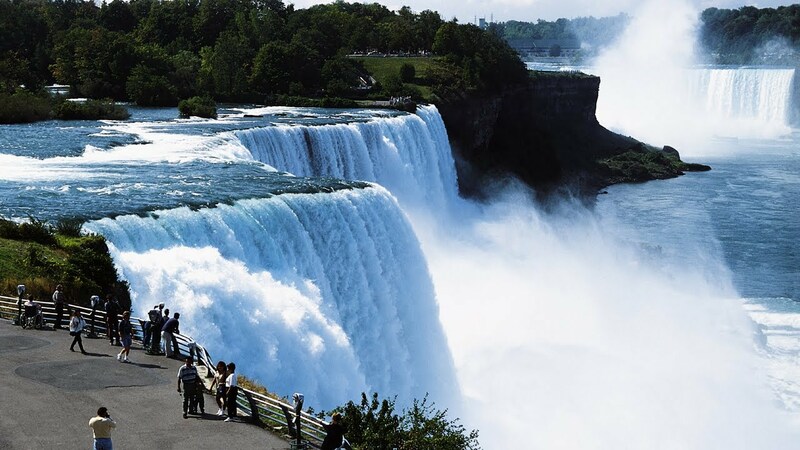 Despite being relatively low on the list of the world’s largest falls, Niagara Falls is undoubtedly the best known waterfall on the planet. 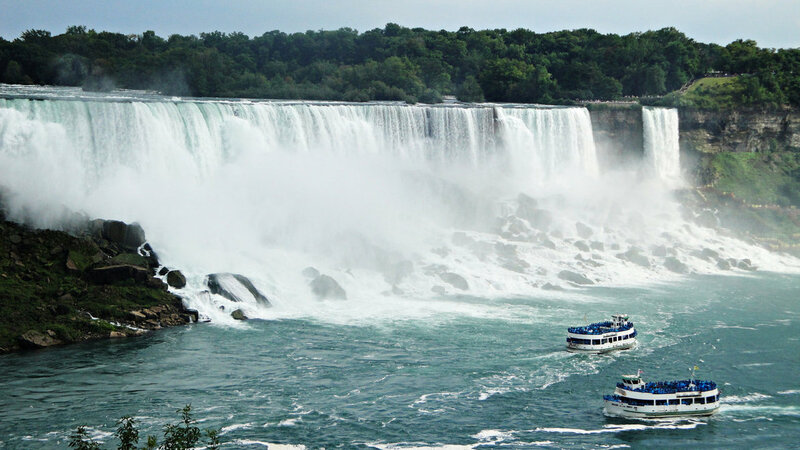 It receives somewhere between 14 and 20 million visitors annually and has been the location for many foolhardy and daring feats, such as that performed by Annie Edson Taylor, who was the first person to survive a trip over the Niagara Falls in a barrel. At 3,950 feet wide, it’s far from the largest waterfall around, but it is the falls with the largest volume of water traveling through it. It has three separate parts: American Falls, Bridal Veil Falls and Horseshoe, or Canadian, Falls. 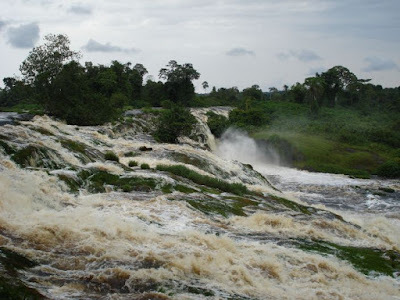 Chutes Wagenia is more commonly known as Kisangani Falls or Stanley Falls, the former of which is accurate, but less often used, and the latter of which stems from British colonial times, and is inaccurate but has been proliferated. It stretches 4,500 feet, across the whole of the width of the Lualaba River, in the Democratic Republic of the Congo. Despite its width, it’s not an extremely visually impressive waterfall, only dropping 30 feet in total, with the highest single fall dropping just 15 feet. Victoria Falls is a 5,600-foot wide waterfall located on Zambezi River in Zimbabwe. The river falls roughly 344 feet into a gorge made up of lateral volcanic dikes, which were formed as the river eroded the rock and soil of its bed. 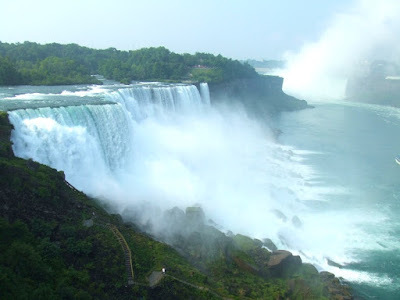 As the water falls into the gorge, mist and spray rises up, more than 100 feet higher than the top of the falls, giving the appearance that smoke is rising out of a deep hole in the earth. 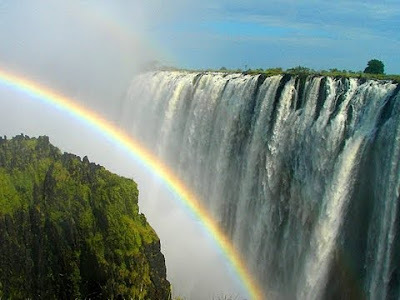 This is where it gets its traditional name, Mosi-oa-Tunya, which translates to “the smoke that thunders." 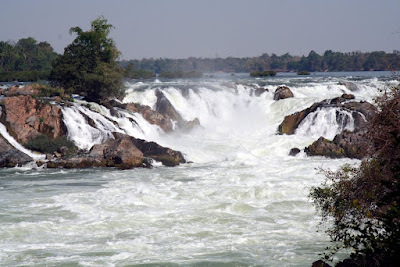 The river is divided into four segments by two islands, resulting in four distinct falls, each of which has its own name: Devils Cataract, Main Falls, Rainbow Falls and Eastern Cataract. Although Vermilion Falls does not drop from an impressive height, falling only 15 to 20 feet, it is the sixth biggest waterfall in the world, in terms of width, as it spans 6,000 feet across. It’s located along Peace River, in Northern Alberta, Canada, which is an otherwise still and, as the name suggests, peaceful river. It’s likely that the rural nature of its location has stopped it from becoming too well known or much of a tourist attraction. However, if you can make it out there, it’s an impressive sight to behold. Saltos del Mocono is part of the River Uruguay in Argentina. It’s amongst the most unique of all large-river waterfalls, as it drops down a 6,000-foot trough that has been carved lengthways into a basaltic formation. This makes it almost a full 180 degree semi-circle of waterfall. This 6,775-foot wide waterfall drops down roughly 35 feet. 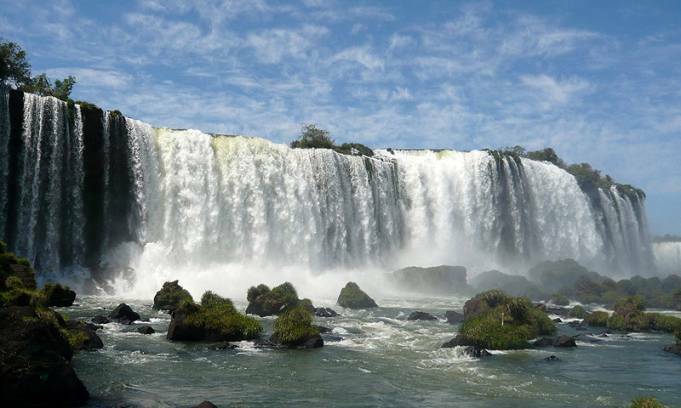 Although the majority of the waterfall is in Argentina, some actually lies in Brazil, which is where most of the best viewpoint for the falls are. South America’s Cataratas del Iguazo is also known as Iguazo Falls. 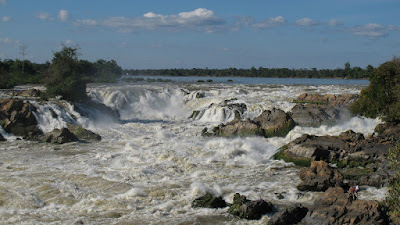 Part of the Rio Iguazo, the falls straddle the border between Argentina and Brazil. 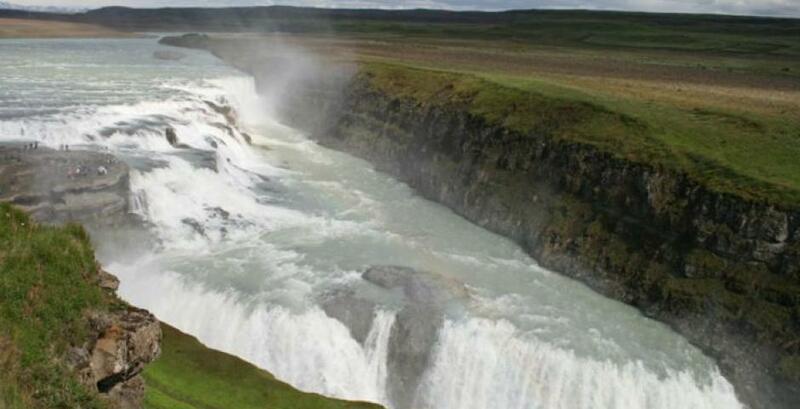 This 8,800-foot wide waterfall drops rough 269 feet. 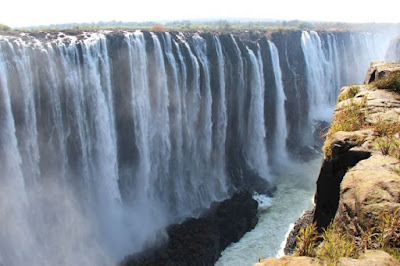 Most of the river fall down into an area known as Garganta del Diablo, or The Devil’s Throat, but the rest spreads out over a wide, flat shelf, splitting into hundreds of individual falls. .
Also known as Kongou Falls, Chutes Kongou measures 10,500 feet wide, making it the world’s third largest existing waterfall. It’s part of the Ivindo River in Gabon, and is roughly 185 feet tall. 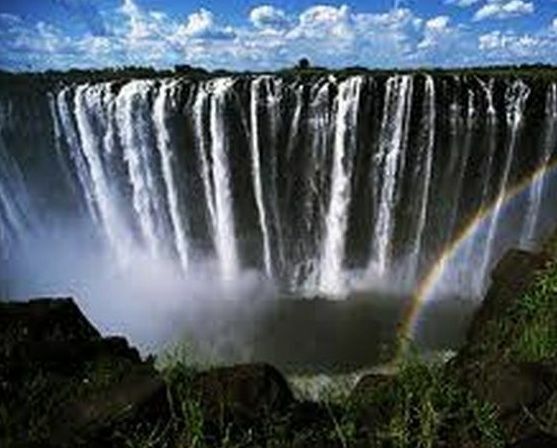 Amongst the most powerful waterfalls in the world, roughly 31,800 cubic feet of water flow down it each second. These falls are truly a sight to behold, nestled amongst dense, equatorial rainforests. 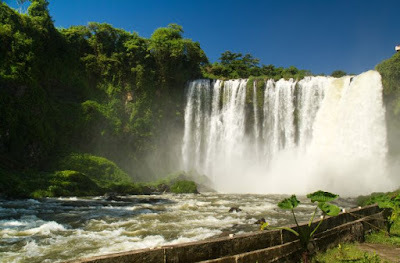 Kongou Falls is located within the Ivindo National Park, which was set up to protect the biodiversity of the Ivindo River. Salto Para, or Para Falls, is an 18,400-foot wide waterfall on the Rio Caura in the Bolivar region of Venezuela. These half-moon shaped falls are formed where two parts of the river come together and drop down almost 200 feet, each side of a lush, green jungle island. Chutes de Khone – also known at Khone Falls – is the largest waterfall in the world. At 35,376 feet wide, it’s almost twice the width of it next largest competitor. The falls are part of the Mekong river in Laos, and occur where the river splits into seven large channels and many more smaller ones. It’s made up of several different rapids and falls, cascading down 69 feet. 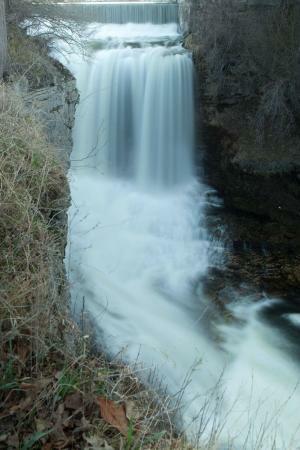 The most defined part of the waterfall is a 45-foot drop, at a 60 degree angle.